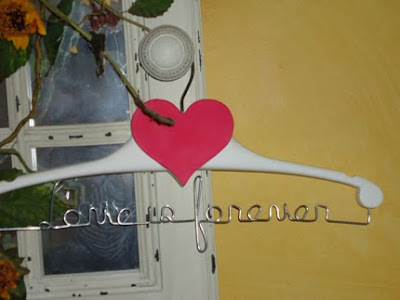 AMY'S ORIGINAL BRIDAL HANGERS: Our New Handmade Hangers with Wire! Our New Handmade Hangers with Wire! Just listed today is our first handmade hanger with wire in it. These hangers are so nice. They are very cute too! These hangers are made in the good old USA! They are heavier than they wooden hangers and sturdy too. These hangers are nice to hold your special dress on, keeping it looking nicely. 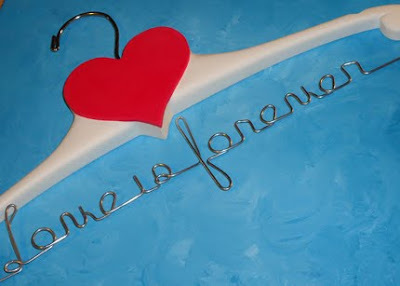 Special hangers also make wonderful photo props for your wedding day. They will be a big part of making special memories of this wonderful day. Keepsakes are created with these lovely creations! 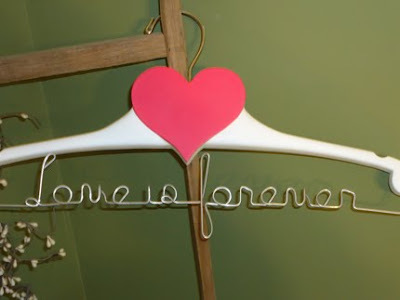 These hangers are not limited to the white with a pink heart. There are other combinations available on each listing. Make sure you let me know what you want yours to be.